White sneakers look great with nearly everything on nearly everybody, so it's no surprise they're having a fashion moment. 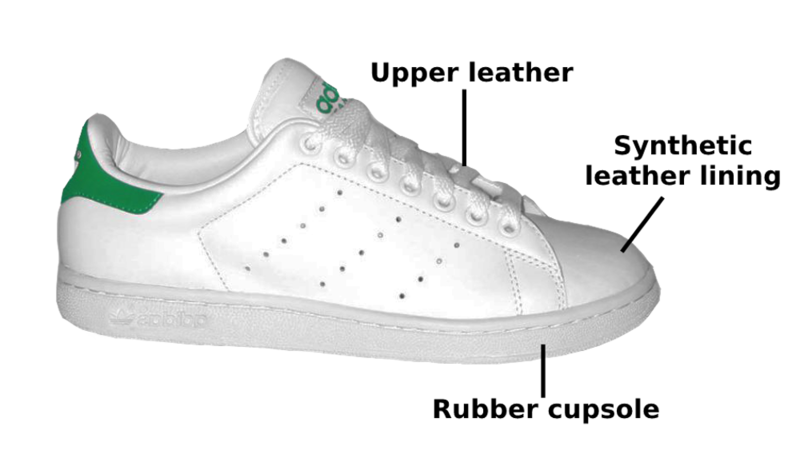 Adidas sold eight million pairs of their iconic Stan Smiths in 2015 (and that doesn't include the lookalikes). Nearly 800,000 Australians buy a pair of sporting shoes in any four-week period. This amounts to a staggering 10.4 million pairs sold every year. Globally, Nike sells 25 pairs of sneakers every second. But have you ever considered the environmental impact of your favourite sneakers? From materials to manufacturing, they have a hidden cost – but it is possible to find shoes that don't cost the Earth. While little research has been done on the environmental impact of fashion, one study has found that the production of a pair of running shoes emits 13kg of carbon dioxide. The production of the materials involved, including leather, nylon, synthetic rubber, plastic and viscose, also takes an environmental toll. Sneakers have a high carbon footprint as, unlike other types of shoes, they typically have many distinct parts. This involves steps like injection molding, foaming, heating, cutting and sewing. Where the shoes are made is also a factor. Overwhelmingly, the world's sneakers come from China: in 2016 they represented 76.8% of the the global footwear manufacturing market. China's factories are largely reliant on fossil fuels, increasing their environmental impact. So let's give your sneakers a quick look. The story behind the primary materials of leather, synthetic leather and rubber have a greater environmental cost than you think. 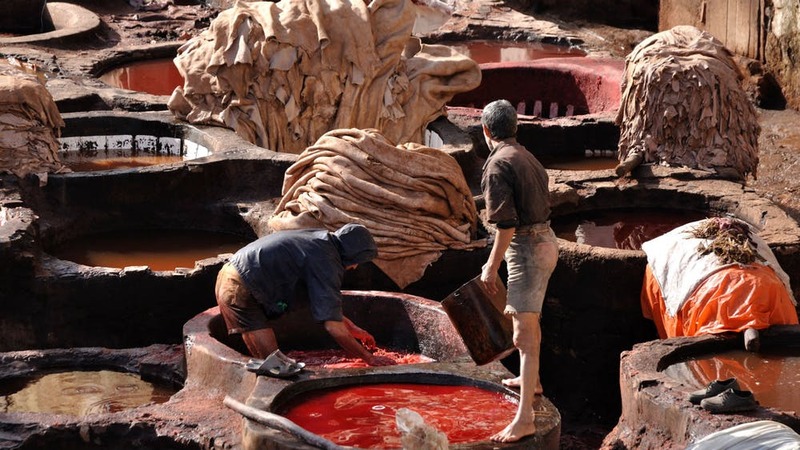 Leather tanning as an industry is environmentally costly. Facilities need large amounts of water for treatment, and generate significant amounts of solid and liquid waste, which impacts soil and water health. It's also costly to human health, using toxic chemicals and heavy metals like chromium that have been linked to cancer in leather workers. Finally, the majority of leather is cowhide, which has a large environmental impact. The beef industry is the largest driver of deforestation globally. It is responsible for 65% of greenhouse gas emissions from livestock. As an alternative: Look for chrome-free leather, vegetable tanned leather or leather alternatives like Piñatex, which is made from pineapple leaves. Synthetic leather, which is used in the liner of most sneakers (as well as vegan footwear) may be more eco-friendly than leather, but it's still not perfect. It's typically made from plastics like polyurethane and PVC, which contain their own harmful chemical ingredients. And unlike leather, it's not biodegradable. As an alternative: Look for vegetable tanned leather, Piñatex, recycled PET or textiles like hemp, jute, wool, or organic cotton. Most sneakers use synthetic rubber in the soles. They are made from petroleum byproducts and are treated with chemical compounds. Like other synthetic materials, manufacturing rubber uses energy and water and creates waste. Chemicals can also leach from the shoe as the sole wears down. 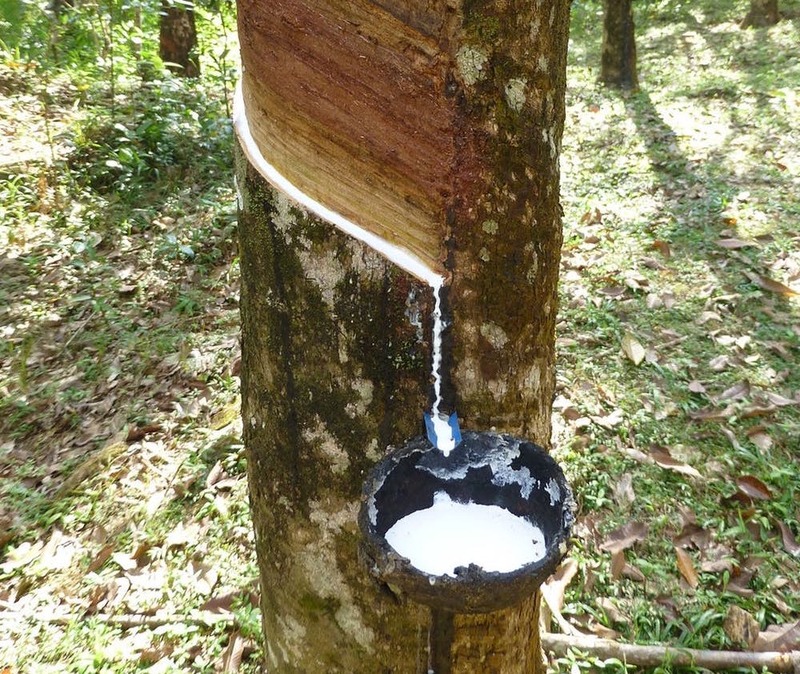 As an alternative: Look for natural or wild rubber, which can be cultivated to aid against deforestation. Lucky for us, we are spoiled for choice when it comes to sustainable alternatives to everyone's favourite casual sneaker. You can check your favourite brands against independent NGOs like Project JUST, the Better Shoes Foundation or Good On You, or try the eco-friendly brands below (their claims are largely self-reported, so it's a good idea to look up their ratings as well). The ethical sneaker preferred by fashionistas. They're made with completely sustainable materials including a range of vegetable tanned leathers, organic and Fairtrade cotton, recycled plastic, wild rubber, jute and hemp. They are also ethically produced in their Brazilian factory. Made in a toxic-free, ethical factory in Portugal using naturally renewable and sustainably harvested materials. No toxic dyes are used on the products, which are primarily made of Piñatex, organic cotton, wool, coir (a mix of coconut husk and natural latex), cork, chrome-free leather and natural rubber. Vegan sneakers using recycled plastic bottles for the uppers. The company goes the extra mile by using organic cotton laces and recycled rubber soles, and plants one tree for every pair of shoes sold. This ethical footwear company makes great use of cork, Piñatex, recycled PET and paperboard. It also uses a carbon-neutral manufacturing system to create its vegan sneakers. This small, family-owned Australian business has been awarded a slew of sustainability accolades because of its ethical and sustainability commitments. Made of natural rubber, organic and Fairtrade cotton (including the laces) and non-toxic dyes (though more of the Converse Chucks styling than Stan Smiths, still a classic look!). The soles of these vegan sneakers are made from recycled tires. The shoes' uppers are made of organic cotton canvas, banana leaves and grass. All shoes are handmade, avoiding manufacturing emissions. The best way to reduce the environmental cost of your sneakers is to hang onto them for as long as you can (fortunately, white sneakers are a classic look). The "fast fashion" business model means garments and accessories are increasingly ending up in landfills. You can care for your shoes by gently washing them and polishing them until they are no longer wearable. Have some good quality sneakers you just aren't wearing? Take them to your nearest op shop or check out Shoes for Planet Earth to make a donation. Have some really worn sneakers? Nike recycles any sneakers with their Reuse-A-Shoe program (not just their own brand) and turns them into Nike Grind, a material used to create courts, tracks, playgrounds and fields. All US-based stores accept worn sneakers; this program is not available in Australia, but if you're feeling keen, you can mail them to this address.